We were pleased to see the following article written by Melissa Keough appear in The Courier newspaper this morning. 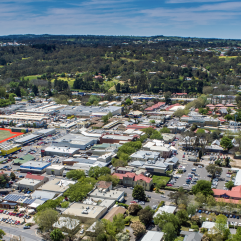 Construction of a $350m housing estate west of Mt Barker has commenced, following building approvals from the town’s council. 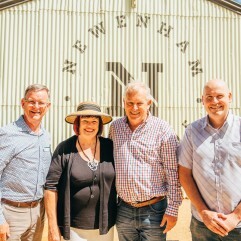 Developer Burke Urban has begun the first stage of the Newenham Estate off Flaxley and Bollen roads, with internal sewerage works completed last month. A small number of future residents signed the first land sale contracts in May. Their properties will form the first stage of 200 allotments ranging in size from 600sqm to 1100sqm. An old homestead and barn located on the 130ha site are undergoing renovations set to be completed by the end of June. The homestead will become the sales and information centre, while the nearby old barn will become a community hub staging workshops, events and markets. The structures were established between the 1930s and 1950s by Lieutenant Colonel JM Irwin, who named the property after his ancestor Charles Burton Newenham. Up to 8ha of land adjacent to Flaxley Road is being developed into a community farm and gardens, a cafe, artisan markets and a nursery. A 2500sqm convenience supermarket with speciality shops, a bakery and cafe will also be established and open in spring next year. The estate will eventually include up to 730 homes and Burke Urban director Olivia Burke said interest from both locals and people from interstate had been strong. “This is about more than just bricks and mortar, we want people to be able to live in a community that’s reflective of the environment,” she said. “There’s two markets that we are already appealing to – the semi-retired and the younger market.” She said people had already enquired about the possibility of hosting weddings within the barn. An early learning centre is expected to open at a later stage of the estate’s development and will accommodate 50 children. The developer is also still in talks with private educators about a new Reception–Year 12 school on Bollen Road. 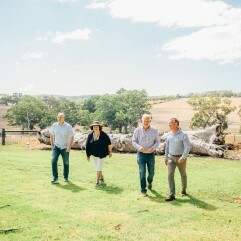 Ms Burke said the company would work with the Mt Barker Council to explore the possibility of establishing the school with joint use facilities such as a hall and meeting rooms. A sports and recreation area is also expected to be built near the school. Planning consultant Geof Bone said the streets would be designed as “low traffic volume streets” with pedestrian links to shops. 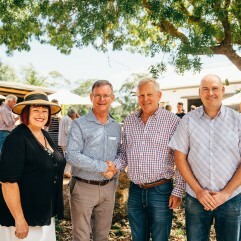 He said roads would connect to Hawthorn Road to encourage traffic to bypass a portion of Adelaide Road, alleviating congestion at this part of the town. Up to 98% of the trees on the property will be retained and Ms Burke said fallen trees and old farm posts would be recycled into playground equipment and signage. The estate’s bulk earthworks should be completed by July, while internal storm water infrastructure installed later this year. The entire project is expected to unfold over the next decade. The Courier article written by Melissa Keogh on 1st June 2016.